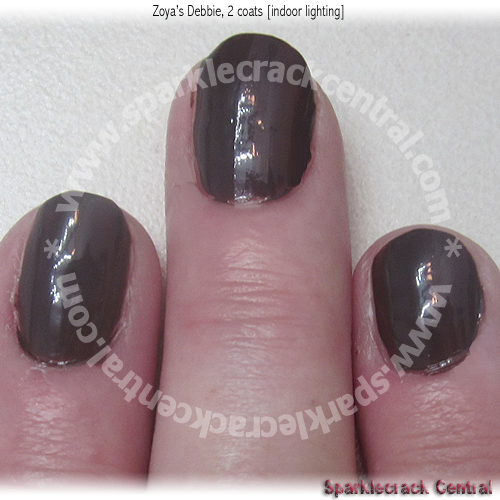 A darker brown polish that isn’t a near-blackened brown. 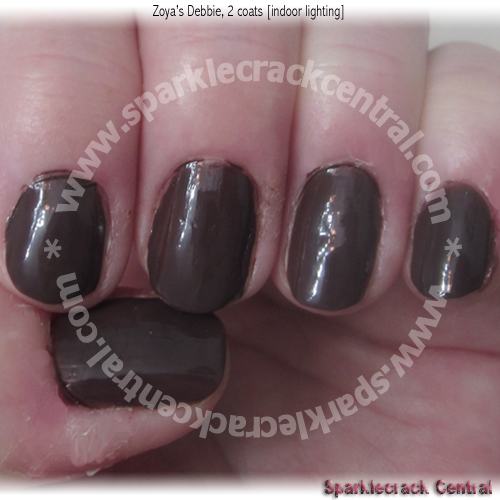 Of the other polishes in my collection, this is a near-exact match to Color Club’s Positively Posh. 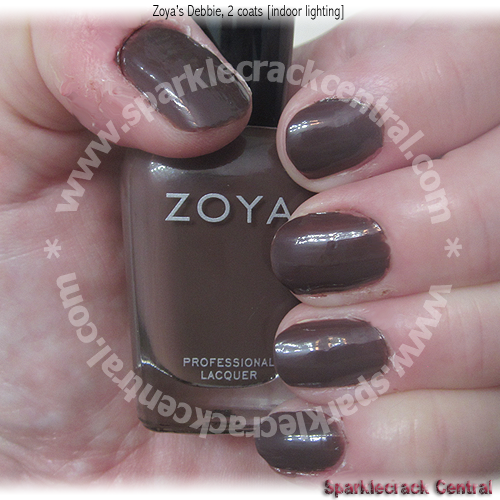 China Glaze’s Ingrid is close, but it’s just barely lighter and a little bit warmer. 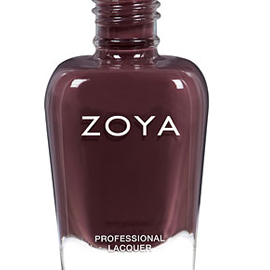 It spreads very well, and the formula was a nice thickness: two coats gave me full opacity, I might have been able to use one thicker coat if I’d wanted to take the time to let it cure thoroughly before doing anything.